The Times reports that there is no "central clearinghouse" for data on the issue, but interviews conducted with dentists and others "suggest that the problem is widespread." 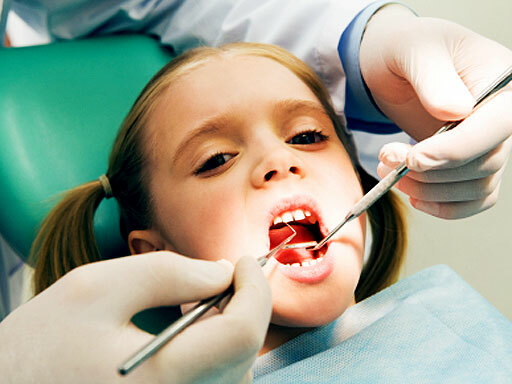 HealthPop spoke to Dr. Stanley Alexander, chair of pediatric dentistry at Tufts University School of Dental Medicine in Boston, who said his dentists are in the operating room at least two mornings a week seeing up to nine preschool-aged patients in need of surgery for cavities. He's seen this problem dating back to when he was a resident in the 1970s. "It's not new - it's been going on quite a while," Alexander told HealthPop. What's to blame for such poor dental health in preschoolers? Dentists point the finger towards parents who aren't brushing their kids' teeth twice a day. Some parents told the Times they simply didn't think about the need to brush their tot's teeth until it was too late. Others caved into their crying kids who hated the at-home care. "Let's say a child is 1 1/2, and the child screams when they get their teeth cleaned," Dr. Jed Best, a pediatric dentist in Manhattan, told the Times. "Some parents say, 'I don't want my little darling to be traumatized.' The metaphor I give them is, 'I'd much rather have a kid cry with a soft toothbrush than when I have to drill a cavity.' "
Other contributing to factors to the preschool problem are age-old problems of snacking on sweets and drinking sugar-loaded juice from sippy cups. According to the Times, one surgeon said one 3-year-old boy arrived for his second round of dental surgery while holding a bottle of soda. Alexander told HealthPop that parents sometimes give their kids a bottle of juice to help them fall asleep, which is especially problematic since children's enamel is thin to begin with, and the mouth's natural cleaning processes are less active when people sleep. He said another cause of cavities people might not think of is when a child falls asleep while breastfeeding. Breast milk contains natural sugars that can erode teeth, he said. More Americans visit ER for costly and inefficient dental care"Smart bomb" mouthwash aims to end tooth decay: Will it work? Dr. Amr Moursi, chairman of the department of pediatric dentistry at the NYU College of Dentistry in New York City, told HealthPop that some parents believe a common myth that "they're just baby teeth and going to fall out anyway," or a cavity or two is inevitable. Is it true? "It's really not," Moursi told Healthpop. "It's truly preventable with basic oral health and a minimal amount of effort - children should grow up without a lot of cavities." What can be done to prevent this ongoing problem? Alexander said parents need to be better educated on children's dental care and risk factors for decay before they even have kids, by either mom's obstetrician or the family dentist. He also says that kids who are bottlefed with juice - sometimes by a nanny or relative - should be weaned off the sweet stuff by slowly diluting the contents until the child is used to a bottle filled with water. "It's unfortunate, a lot of this could be prevented." The National Institutes of Health has more on children's dental health.